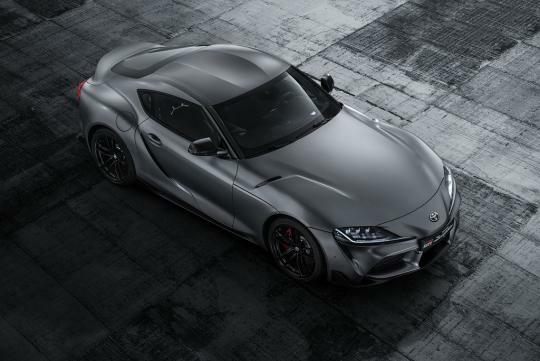 More news on Toyota's new baby: It appears Toyota U.K. has overbooked the amount of special edition Supra allocated to them. As reported on Carscoops, Europe will be getting 90 units of the A90 Special Edition Toyota Supra, with Britain only been allocated 24 of the 90 units. However, it seems like Toyota U.K. has taken more orders than that. Customers who did not get their cars had two options. They could either get a refund or convert the fee into an order for a Supra 3.0L Pro which is the highest trim level available in Britain. Customers who chose to convert will also get a complementary two-year service plan and an invitation to attend a Toyota Gazoo Motorsport event as a Toyota U.K guest. The A90 Special Edition is painted in a new Storm Grey matt finish with matt black alloy wheels and a driver’s cockpit upholstered in red leather. Elsewhere, it is same as the 3.0L Pro trim.